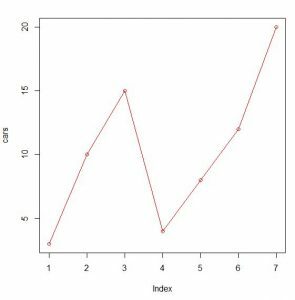 R is programming language and execution platform for statistical computing and graphics. It is known to be the successor for the S language, which was developed at Bell Laboratory. It focuses on a wide variety of statistical and graphical techniques, including linear and nonlinear modelling, time series analysis, statistical tests, classification, clustering, … and on and on. One of the major differences between S and R, is that R is open source and free. It is designed to be a language that non computer scientist can take full advantage of its capability and focus on data manipulation, calculation, and graphical display. 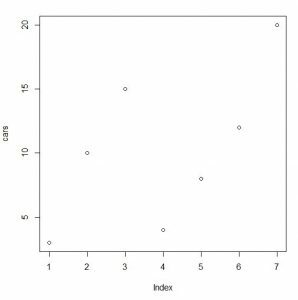 The powerful data type and calculation on arrays, vector, and matrices makes it very convenience for data analysis. 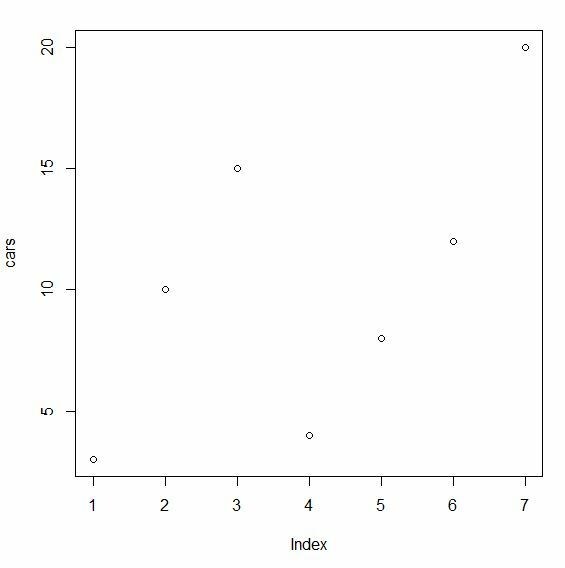 How to graph with R? 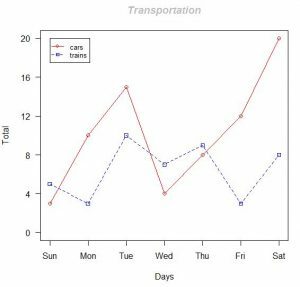 In this article, I will focus on the graphical capability that is available out of the box from R. This is meant to be a simple introduction and hopefully will show you how simple it is to start your own data analysis and visualization with R.
Let’s consider a use case where we are analyzing the types of transportation that people prefer to ride on. Let’s start with cars. Pretty cool right, only 2 lines of code. By now, the graph is looking a bit more interesting, and pretty cool ! 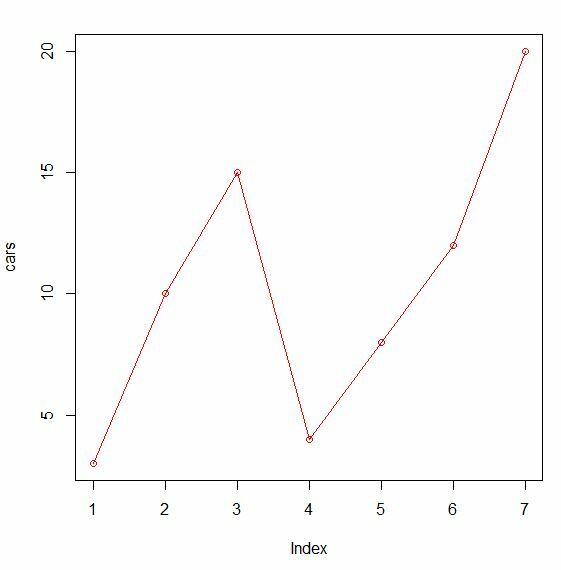 So here it is, a simple demonstration on how to write a few lines of code using R, and produce an analysis graph. 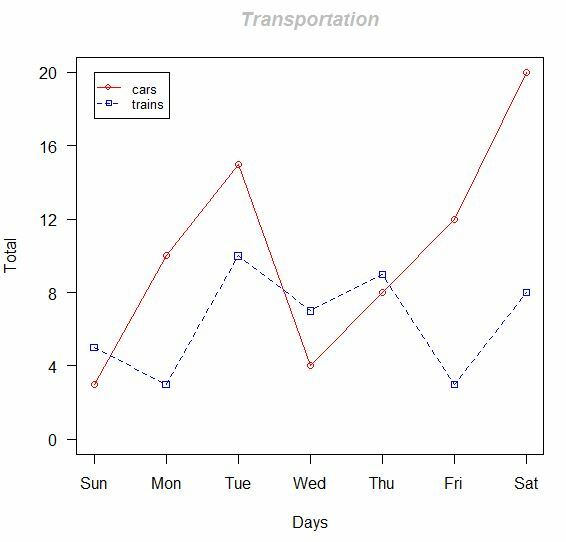 In case if you are interested, I use R-Studio to run and test this example. You can download the R platform from https://cran.r-project.org/, and R studio from https://www.rstudio.com/, both are open source and free. Next Article Next Article: Got CRC Error?